Postage is a continuous office expense. We purchase our stamps from the post office one roll at a time. If you have some stamps to spare, please consider donating a few stamps to our purpose. Actually, we need any kind of stamps. 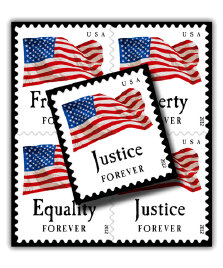 We do a lot of small package shipping, so we need a large variety of stamps from 1-cent stamps to 2-dollar stamps. If you have any extra stamps, of any value, we would be greatful for your donation.